China’s relation to Taiwan has been in constant contention since the founding of the People’s Republic of China in October 1949 and the creation of the defeated Kuomintang (KMT) exile regime on the island two months later. 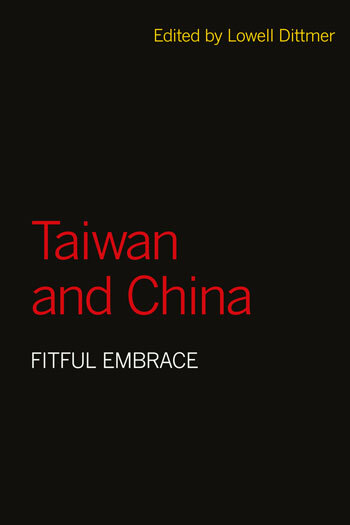 The island’s autonomous sovereignty has continually been challenged, initially because of the KMT’s insistence that it continue to represent not just Taiwan but all of China—and later because Taiwan refused to cede sovereignty to the then-dominant power that had arisen on the other side of the Taiwan Strait. One thing that makes Taiwan so politically difficult and yet so intellectually fascinating is that it is not merely a security problem, but a ganglion of interrelated puzzles. The optimistic hope of the Ma Ying-jeou administration for a new era of peace and cooperation foundered on a landslide victory by the Democratic Progressive Party, which has made clear its intent to distance Taiwan from China’s political embrace. The Taiwanese are now waiting with bated breath as the relationship tautens. Why did détente fail, and what chance does Taiwan have without it? Contributors to this volume focus on three aspects of the evolving quandary: nationalistic identity, social economy, and political strategy. LOWELL DITTMER is Professor of Political Science at the University of California, Berkeley. He is editor in chief of the journal Asian Survey and the author of Sino-Soviet Normalization and Its International Implications, China’s Quest for National Identity, China Under Modernization, and South Asia’s Nuclear Crisis.